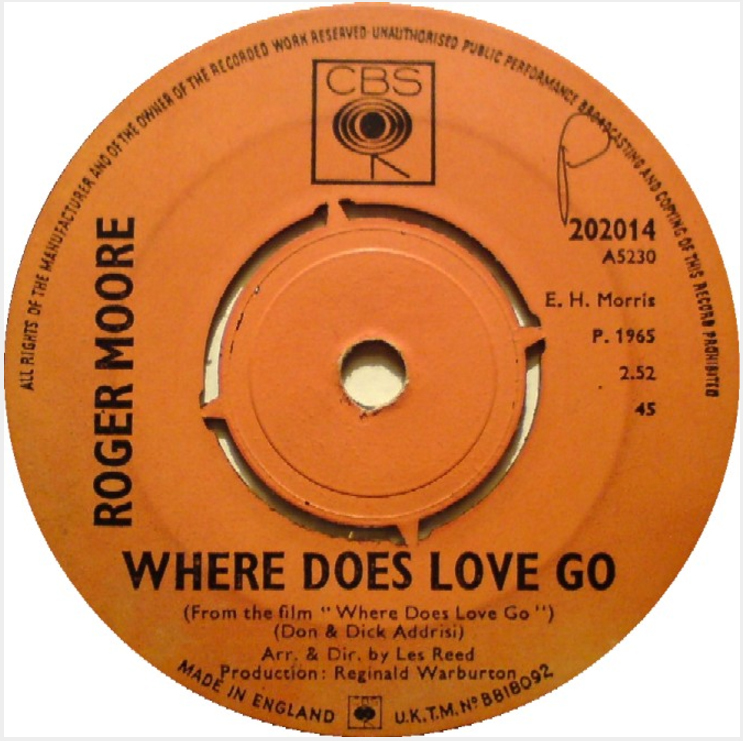 In 1965, during his tenure in The Saint, Roger Moore and his later to be wife Luisa Mattioli released a single on CBS Records, Where Does Love Go c/w Tomorrow After Tomorrow. Side A was a song which the Addrisi Brothers wrote and Charles Boyer made famous, mostly because his version's biggest fan was Elvis Presley; and it was a mellow number that in regards to the singing it counts mostly as a spoken word tune. Side B was an original composition written by Moore and Mattioli in the same vein as the other track. 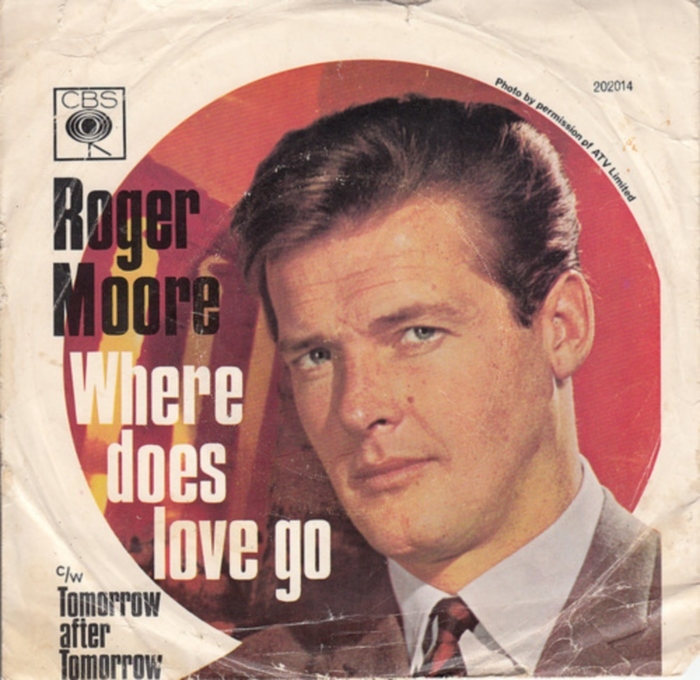 Roger Moore was not celebrated for his singing abilities, and sensibly there did not follow his musical aspirations very closely. But in the wake of his passing at age 89, this kind of rare 45-er seemed like a nice treat to revisit.